Layne Albert has joined Chicago-based Grant Thornton (FY14 net revenue of $1.4 billion) as a partner in the firm’s tax practice, based in New York. 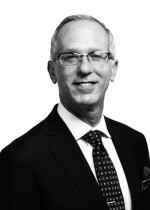 Albert has more than 25 years of experience in the financial services industry. He specializes in identifying, understanding and managing federal and state tax issues related to complex business transactions, including mergers, acquisitions, dispositions, financings, recapitalizations, securitizations, reorganizations and bankruptcies. Most recently, Albert was a managing director at Alvarez & Marsal Taxand LLC.